A child support asset search is conducted to identify all the assets of the spouse who will be paying child support, even assets they don’t want to be found. Hidden assets are common in a divorce, but should not receive less support for your children simply because your former partner does not want to part with their money. The private investigators at ASG work with divorce attorneys and mediators and their clients to verify, locate, and uncover assets. Why Aren’t You Receiving the Fair Amount of Child Support? The greedy parent: In divorce negotiations, one person may attempt to hide assets they don’t want to share or feels are rightfully theirs and theirs alone. When the parties involved aren’t being upfront about their holdings, it’s not just the spouses who feel the burn; children are wronged too when the amount of child support you should be receiving is lower than you believe it should be. The deadbeat parent: If your former spouse is avoiding child support payments, you deserve to know why, and you deserve to receive the payments that have legally been deemed to be yours. Perhaps there is a legitimate reason your ex isn’t paying up when he or she should – but knowing exactly why that is the case is information you need in order to work with your divorce attorney to legally secure support. If you have suspicions that there are funds to be had and they’re being withheld from you and your children, a private investigator can help you through an independent child support asset search. How Much Should Your Spouse Really Be Paying in Child Support? Your divorce doesn’t have to involve significant dollars and cents to warrant a child support asset search. In fact, a private investigation is sometimes even more important when property, savings, and investments aren’t being divvied up – there is less money to go around, and more reason for your former spouse to try to hide what they do have. 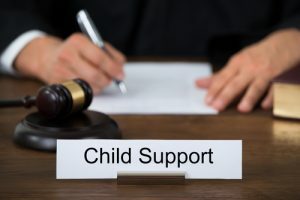 Nevertheless, if you are the custodial parent or have sole custody of your children, your former spouse has an obligation to help provide for their children. This is what child support is for – to ensure that children of divorce are financially taken care of, even if there is no longer a two-parent household. Where your former spouse currently lives. Name and address of current place of employment. A list of tangible assets, from real estate to vehicles. Every child support asset search is customized to your unique needs. You may need not only information but proof that the other parent is actively trying to hide their income from you. Ultimately, your private investigator will gather as much information as possible about your ex so you can move forward faster with legally securing collection of the child support you are owed. Why Hire ASG to Conduct Your Child Support Asset Search? Asset searches take time, but sometimes waiting for courts to do the investigating can take longer. For the most thorough and efficient asset search of your former spouse to secure child support, rely on the expertise and tools of professional private investigators. At ASG, our private searches are compliant with federal regulations and privacy laws and can be conducted locally, nationally, or internationally. We know where to look and we know how to deliver the results you need. Outsource your child support asset search to a professional private investigator at ASG in Michigan. Get the complete story about tangible and intangible assets and why you aren’t receiving child support from a deadbeat parent – or why you believe you should be getting more than is on the table in your divorce negotiations. Contact us today to discuss your situation.